Breaking News: Monorail Evacuation Taking Place Right Now! Jason with some breaking news from Walt Disney World. A friend of mine sent me some information that the EPCOT monorail is being evacuated as we speak near the Wilderness Lodge. From information coming in, lightning hit the EPCOT monorail track causing the monorail to stop around the Wilderness Lodge. Reedy Creek Fire and Rescue as well as Disney Security came to assist with the evacuation. Due to the electrical problems, the monorail as well as the air conditioning stopped working. Guests were coming out of the monorail onto the roof, and some were taken down via Firetruck ladder. At this time, evacuation is still going on, and no reports of any injuries are coming across. As we get more information, we will bring it to you! As preciously noted, there was no injuries reported, and we are also getting news that everyone has been evacuated from the monorail. Guests on property reported that traffic was bad tonight on property due to security diverting cars around the scene. 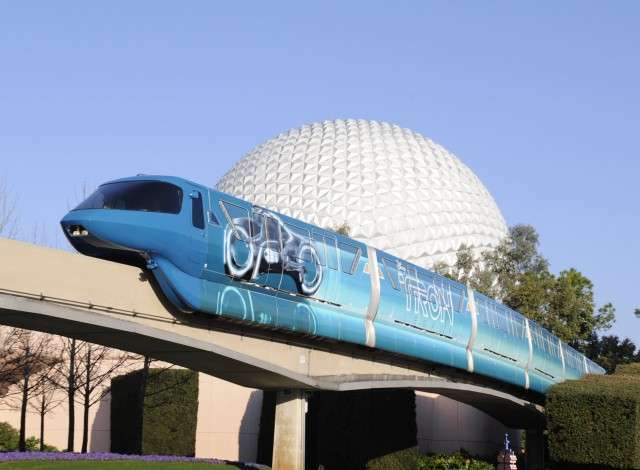 We are unsure of monorail service for the rest of the night and tomorrow as of now. Check back soon as we get more! Also follow us on our social media for more updates! Next Post Orlando Roller Derby!